Preferred by casinos and gaming industry-professionals, Bee poker cards are considered by many to be more durable than other comparable styles of standard playing cards. These premium playing cards also maintain their shape, snap, and feel for a longer amount of time, providing more consistent, quality play from a single deck. 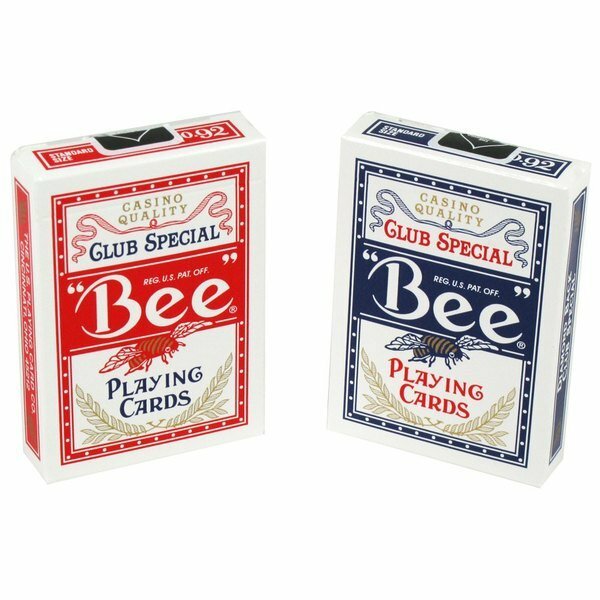 Keep guests at your casino, bar, or private club entertained with this deck of Bee poker cards! For serious tournaments and games, turn to the cards the professionals use. 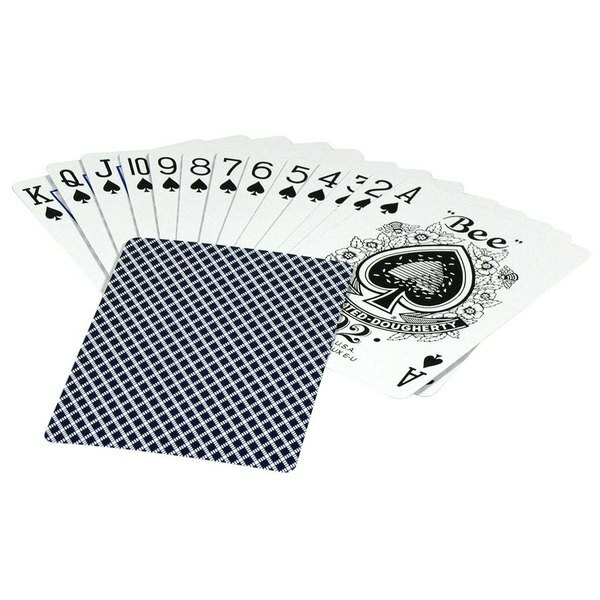 This deck of 52 standard playing cards allows you to play a variety of your favorite games from Texas Hold 'Em to Rummy. Always nice to have extra decks of cards on hand in the event of bent, broken or lost cards. Bee Playing Cards are inexpensive enough to keep a few on hand and replace old decks as soon as they get sticky or difficult to use. These cards are great quality for the price! The are think and so far the color of the cards has lasted! Great deck of cards for playing! These cards are beautiful and well-packaged. The deck comes complete with all the suits, jokers and even a guide to poker hands. I highly recommend! The Bee Playing Cards No. 92 Club Special are a great quality playing card. They are thick and the colors don't fade easily . The price is great too! I would definitely recommend these. Recently, I ordered the Bee Playing Cards Number 92 Club Special Wholesaler playing cards and was impressed at their beyond reasonable price. I would order them again for sure because they are the perfect addition to our game nights. I like how easy it is to order and will continue to do so. The fast shipping and quantity discounts are a huge plus. Would highly recommend for residential and or commercial use. I absolutely love this product! Bee cards are the best! They're casino recommended! They came in perfect condition and came with a card for poker instructions. These cards shuffle easily and are very nice to deal. They don't stick together or cause any trouble, which allows you to get on with your game easily. As they are labeled, they are a nice deck of cards for a game of poker. Bee playing cards! Bee makes these club special casino quality playing cards. Very nice feel and easy to shuffle with or without a card shuffler. 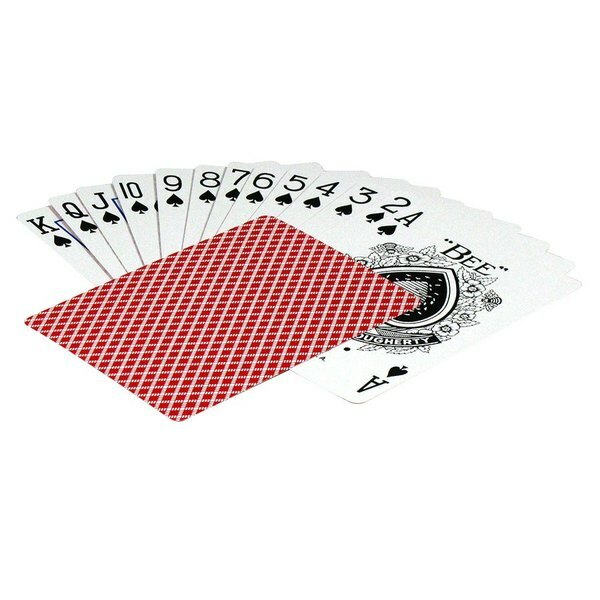 Great playing cards for blackjack, poker, and for magic tricks. They get incredible use out of them and still haven't worn down. I highly recommend picking some up. These premium BEE playing cards are perfect for playing poker. I like to use these for our company poker matches. They are water resistant and very shiny. Nice deck of cards, run really well. Overall for the price is good, and it's a good product. Nothing much to say, just a standard deck of playing cards.